The top network carrier service providers are always on the top of their game to attract new consumers and keep the current ones with by advertising different packages of their interests. The top carriers including T-Mobile, Sprint, Verizon, and AT&T turn up their marketing gimmicks whenever a new high-end smartphone launches in the market. The various promotions offered by the companies lure the customers into making a purchase from them rather than buying directly from the official stores. And of course, the free calls, Wi-Fi, and other add-on services offered by the network carriers prove to be an icing on the cake for many phone users. Learn today how to unlock iPhone 8 and 8 Plus permanently to use it with any SIM card. And now that the new iPhone 8 and 8 Plus are set to launch, we can see many adverts from these carriers offering exceptional services at a very affordable price. However, there is no comparing an unlocked handset and although, you may find it cheaper to purchase the new phone from one carrier, you may change your mind the next year and wish to use the same set with the other SIM provider who is offering other benefits. The good news is that there is a trick to unlock iPhone 8 and 8 plus which enables you to change carrier anytime for a better package or even sell your handset allowing the new owner to use the device at any time and on any international carrier. Is iPhone 8 Unlocking Legal or Not? It’s absolutely legal to unlock an iPhone if you’ve paid the amount due on your contract or you bought it unsubsidized outright. However, if you still have to pay a due sum on your contract, it means you’re not the full owner of the handset, so you should get in touch with your carrier before proceeding with the unlock. If you have doubts about the unlock status of your phone, you can follow our guide to know whether your handset is unlocked or locked. The problem happens commonly in instances like purchasing a second-hand device or inheriting the handset from a family member who recently updated to a fresh model. Locked iPhones won’t work on your carrier network because they are already tied to another network. If your iPhone is locked at the moment, continue reading to know how to unlock it. Please note: To unlock the handset from any carrier, a full price is to be paid to the carrier network company, otherwise unlocking may not be possible. When the steps are followed correctly, the unlocking process is pretty fast. However, we recommend our readers to go through the Terms & Conditions thoroughly before making any attempt. Additionally, it is important that you create a full backup of your iPhone before doing the unlock process. 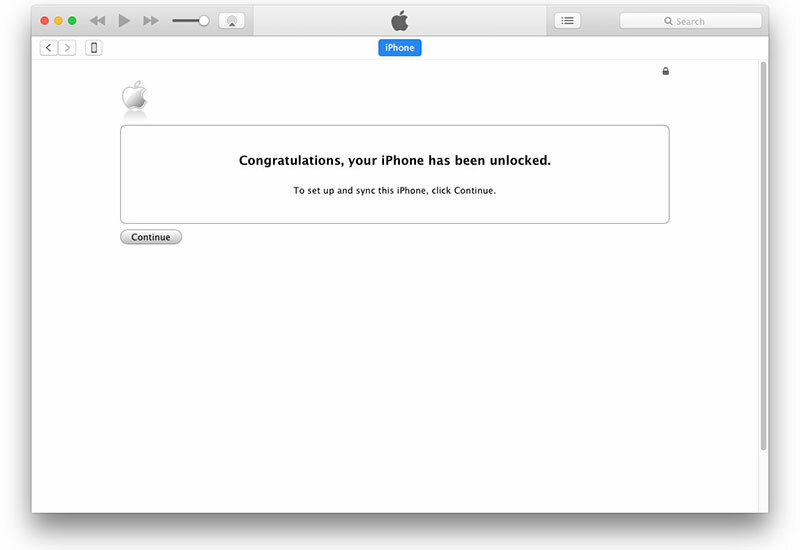 First, let’s find out how you can unlock the iPhone that is compatible with AT&T. 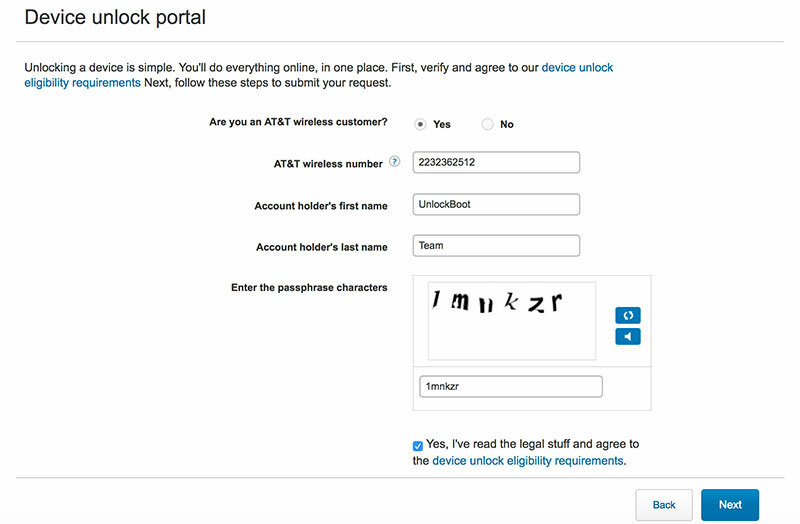 Send an unlock request to the AT&T carrier through their website. Agree to the Terms and Conditions and select “Continue”. Submit all the details and go towards the next step. Once you have submitted the form, a confirmation email with a reference ID will arrive which you can use to unlock the device. Sprint gives great service to both – local and international consumers. 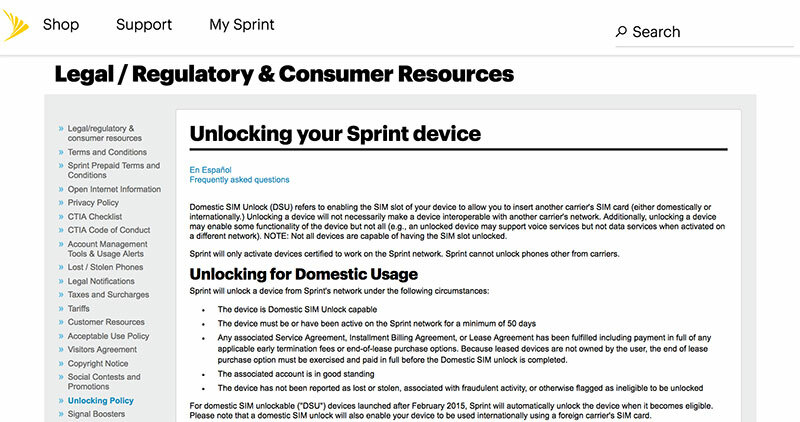 Before making the switch from Sprint to another carrier, make sure to read the complete information about the unlocking process by visiting their website or dialing 800-366-2255/877-877-8748. 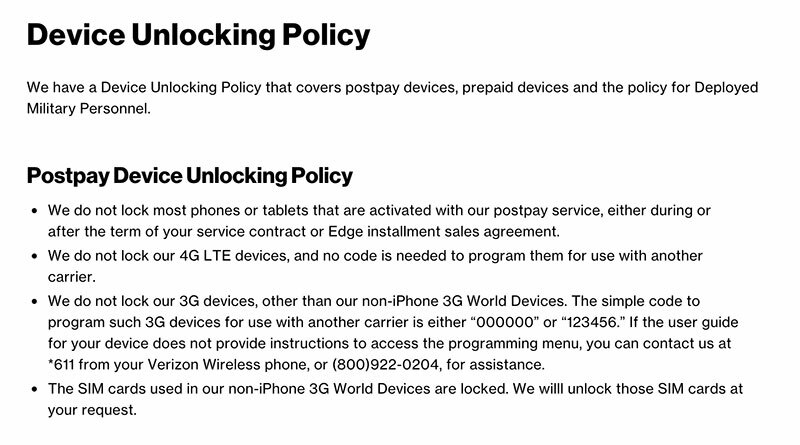 Visit the website of Verizon to find out the device unlock policy as the company has a different methodology for unlocking 3G and 4G phones. You can also contact the company by dialing *611 or direct customer help line on the following number: (800) 922 – 0204. You can make a request for unlocking anytime on Verizon. Before you submit the unlock request, we recommend you to check the IMEI code if it’s blocked or blacklisted. 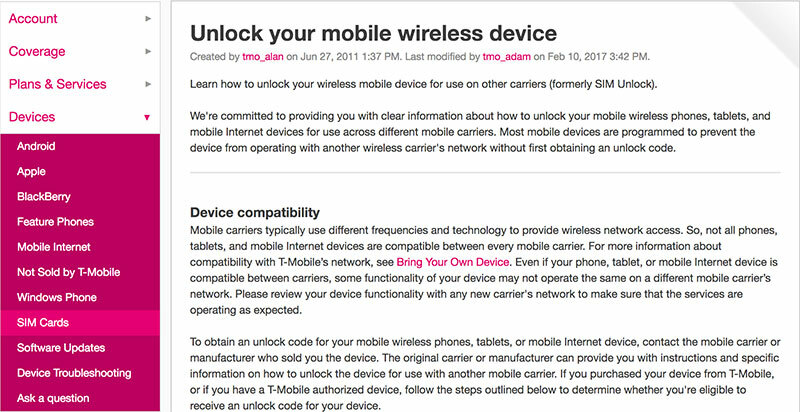 You can follow our guide on how to check T-Mobile IMEI code. Read the Terms and Conditions carefully before unlocking iPhone and make sure to follow all the steps given by the carrier. The unlock code can be requested by contacting the company here. These were the official methods of unlocking the phone. However, there are times when you can’t take advantage of them. For example, you may be out of contract or some other reason that may deem you as ineligible. Whatever the case is, you can easily unlock your phone by using an official iPhone unlock service from UnlockBoot. The website requires you only to enter your IMEI number along with carrier’s name. Prices vary according to the carrier. For more information visit the website below. With these tips, we are sure you can easily unlock your iPhone 8 and 8 Plus in the future. And don’t worry; the process is completely legal and verified. Good luck!